Palm Harbor, FL (May 14, 2014) There’s a new word game in town, and this one has a unique twist: it’s great for people who can’t spell! 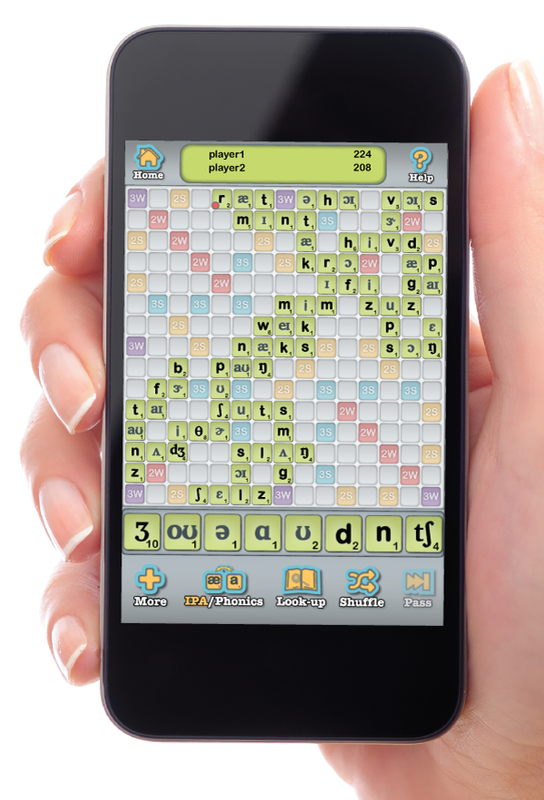 Soundable, a new social word game, looks like Scrabble or Words With Friends at first glance, until you notice the funny letters on the tiles. If you think it’s dumbing down the game, think again: the main driver for the game is actually supporting higher education. In fact, the game’s primary market is current and future Speech-Language Pathologists (SLPs) and other professionals who need to learn the International Phonetic Language, or IPA. The game is a joint venture between Tactus Therapy Solutions, a leading provider of therapy apps for the speech therapy market, and LessonPix.com, whose SoundFinder technology powers the scoring of the game. Soundable can be downloaded today from the iPhone App Store or by visiting SoundableGame.com. and make games, materials, and AAC overlays to support their therapy goals. About Tactus Therapy Solutions Ltd.: Founded in 2011, Tactus Therapy creates apps to be used by people of all ages to improve their communication skills in rehabilitation and education settings around the world. Designed by a Speech-Language Pathologist, Tactus Therapy apps aim to help professionals ease their workload with quality materials and data collecting and reporting tools, while enhancing the therapy of clients by providing more opportunities to practice outside the clinic. These apps are favorites among adults who have an acquired brain injury and children with special needs. For more information, download the free Lite versions of each app or visit http://tactustherapy.com.